This seems like a good time to stop and reflect. 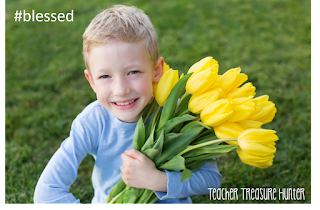 We’re nearing the end of a school year which is also a time of reflection — if you have an ounce of energy left! It has made me think about what I love about creating teaching resources and what I love about teaching. What I love about teaching is easy – the students! I’ve taught 1st grade and 3rd grade and they each have such great qualities. They have those funny things they say that make you smile. You savor those moments when you’re teaching something and they “get it” and groan at the many moments when you think they are getting it and they don’t! You get to enjoy precious little notes. I thought that might end when I moved to a higher grade level, but was so thankful to still get some sweet notes (usually written on spelling tests). There are moments that you get a glimpse of the future. Times that you realize that student who can hold the entire class captive with their antics is such a leader and has the ability to sway a group. Future president? Times when you patiently answer the 10th question of the day from a curious youngster. Future scientist? Times when you read something a student wrote and find yourself captivated. Future author? Times when you see a student overcome so many hardships and pray that they have the strength to rise above terrible circumstances. Uncertain future. Teaching feels a bit like your marriage vows. You stick it out — through the good and the bad, the rich and the poor (any teachers out there paying for teaching supplies???). You do it all because you love your students and blessed to be able to have a part in helping them to learn and to grow. I started selling teaching resources at Teachers Pay Teachers with hopes to earn a bit to help my family. I didn’t realize the many other benefits. Along the way, I have met some amazing teacher friends. It is incredible that technology allows us to connect with teachers from around the world! I’ve also become a better teacher. As I create materials for my class, I’m thinking that it might be something that I use to create a resource for other teachers. That propels me to go the extra mile. It encourages me to add some clipart to make it engaging, to complete the project (always an obstacle!) and to put in those extra touches like answer keys that make teaching just a bit easier.